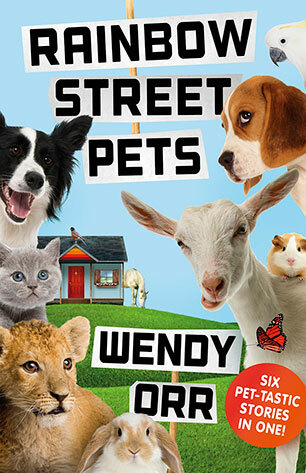 Wendy Orr grew up in Canada, France, USA and UK before moving to Australia when she was twenty-one. 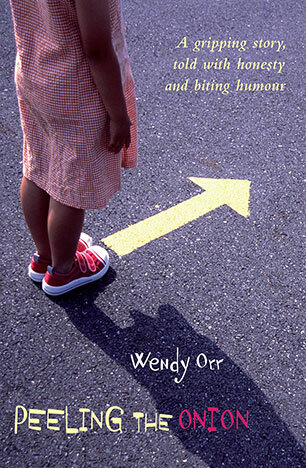 Wendy was a compulsive reader from an early age and wrote stories throughout her childhood. 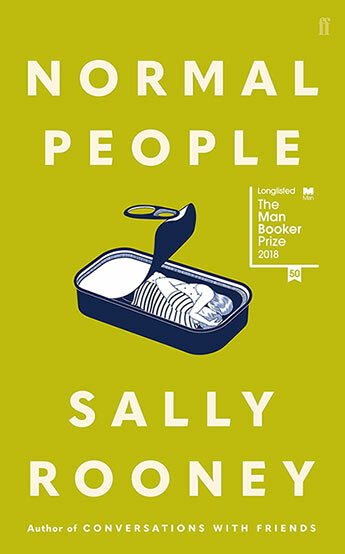 In 1993 she resigned from her position as an occupational therapist to become a full-time writer, and an hour later heard that her novel Leaving It To You had been shortlisted in the Children’s Book Council Book of the Year Awards. Ark in the Park won the award two years later, followed by an Honour Book Award and overseas success for Peeling the Onion. Wendy now lives in Victoria’s Mornington Peninsula, and, along with her husband, is busy trying to restore their few acres of bush to its natural state as a home for wildlife. What are best and worst things about being a writer? 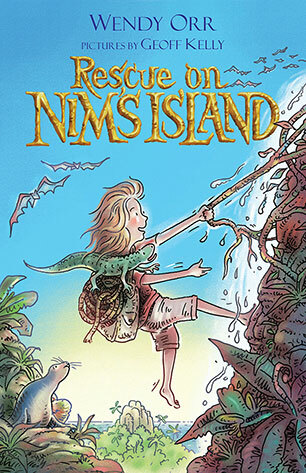 The success of the film of Nim’s Island has just been followed up by Return to Nim’s Island, inspired by Nim at Sea and starring Bindi Irwin. What's that been like for you? ‘The whole Nim journey has been amazing. It’s taken me around the world, from India to the USA, and in another sense, into that even more foreign world of Hollywood and film. 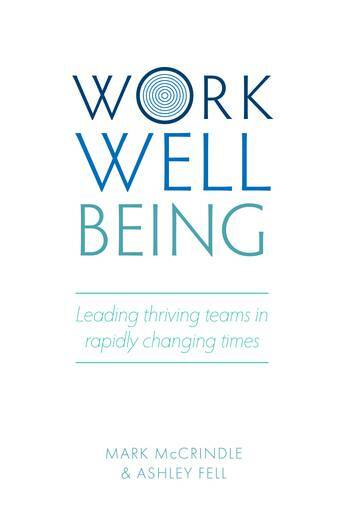 I couldn’t have asked for better book to film experiences. 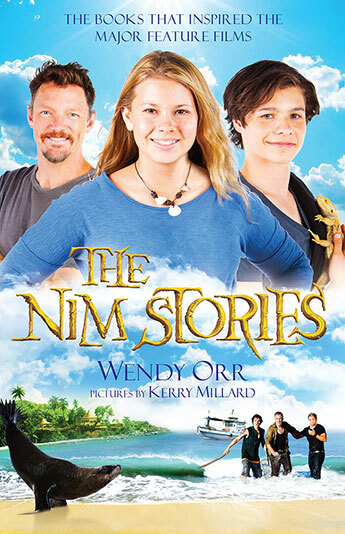 And it’s even better with Return to Nim’s Island being an Australian film, because I couldn’t have dreamed up anyone more suited to play Nim than Bindi Irwin. It’s also fun that this time I’ll be in Australia when it opens and be able to enjoy seeing it with enthusiastic friends. 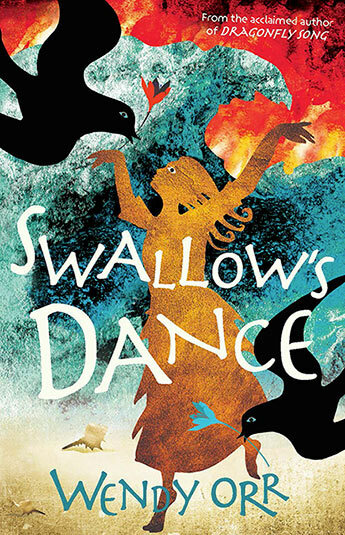 In her third gripping adventure, Nim unearths an amazing opalised fossil, but this discovery puts her island in terrible danger. 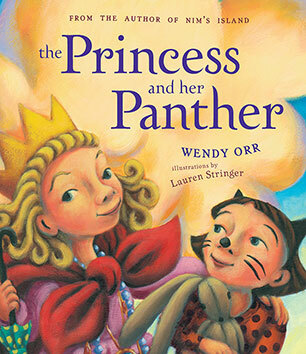 A bind-up edition of two exciting adventure stories by Wendy Orr - Nim's Island and Nim at Sea. 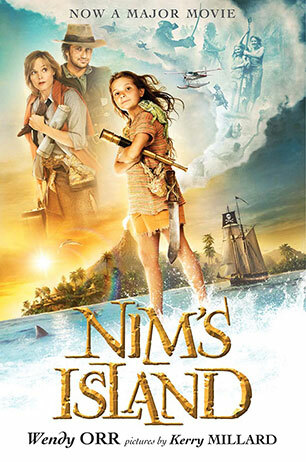 Nim's Island was a major international movie, and now there's a second action-packed movie inspired by Nim at Sea, called Return to Nim's Island, starring Bindi Irwin. 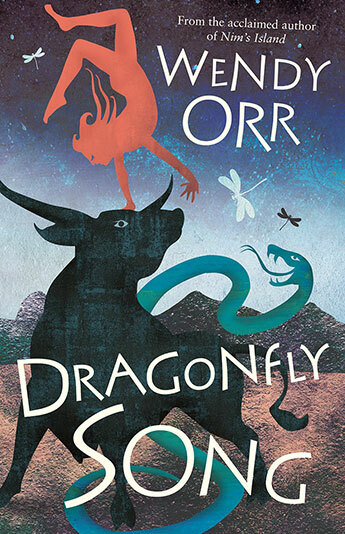 A gripping wilderness-adventure by the author of Nim's Island. 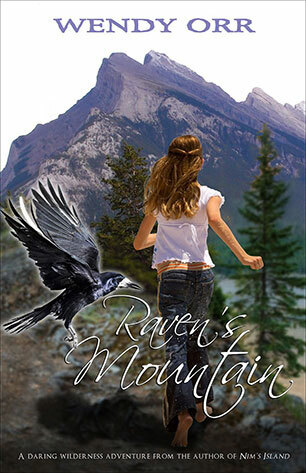 Raven's sister and step-father are trapped under rocks on the mountain top, and their lives depend on Raven making it down the mountain to get help. But can she find the way? What do you get when you take one brave, big sister, one not-so-brave little sister, a spooky night-time backyard, and heaps of imagination? The most magnificent camp-out ever! 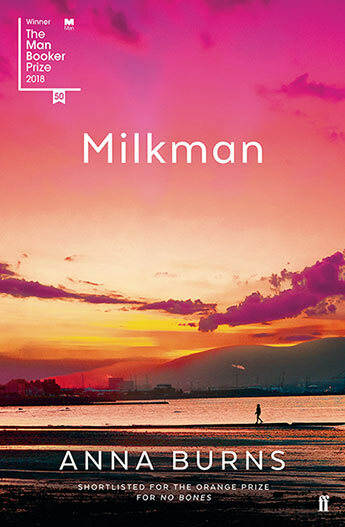 A sequel to the popular Nim's Island (now a major film). 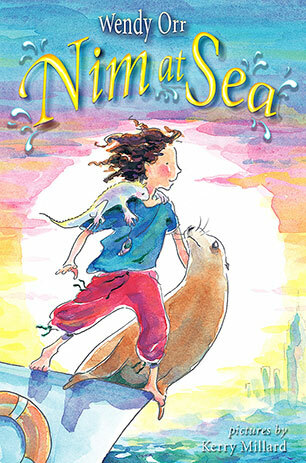 When Selkie the sea lion is kidnapped, Nim has to leave her island paradise, stow away on board a cruise ship, and work out how to rescue Selkie and all the captive animals in the ship's zoo. She also needs to reunite her family. Luckily she has Fred, her funny marine iguana, and two new ship-board friends, to help her. 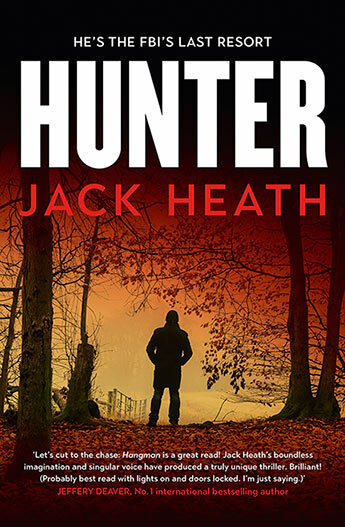 Finn discovers Jack Henry, a ghost, and his ghost-dog Nipper, in an old bush shack. 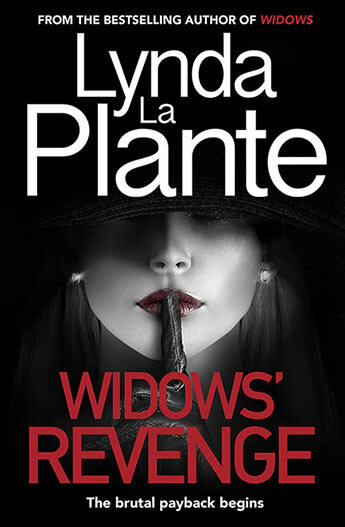 They team up to outwit Boris Banks, who has plans for a gold mine that would destroy the bushland and leave the wild animals homeless. 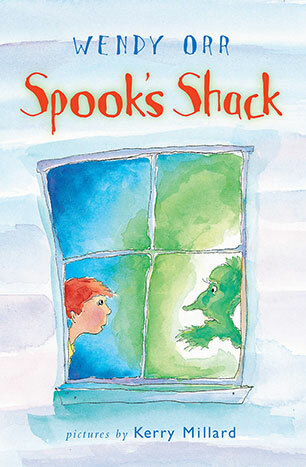 Illustrated junior novel.